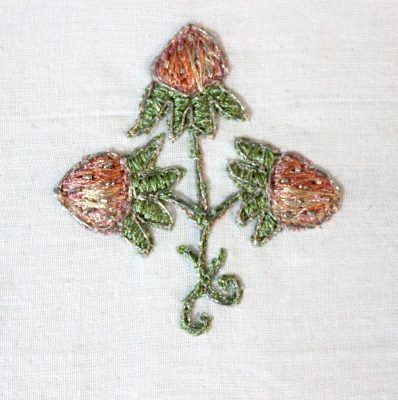 I started these as learning samples in free motion embroidery. 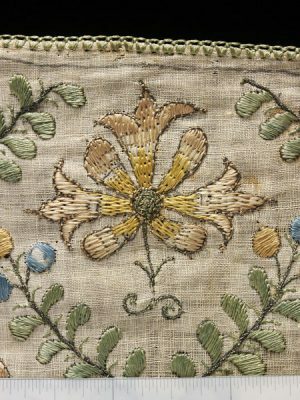 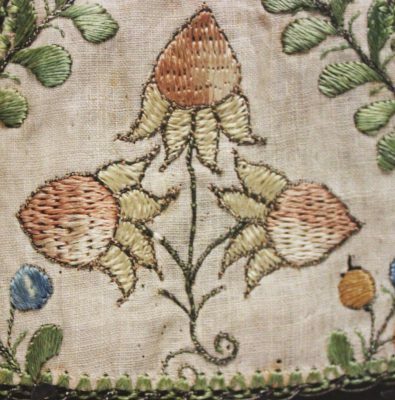 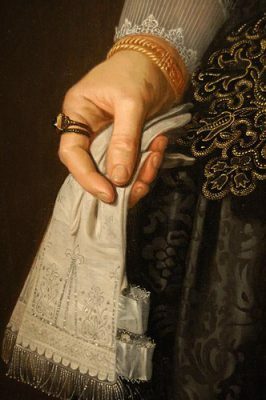 The small motifs are from a 17th-century stomacher at the V&A museum. 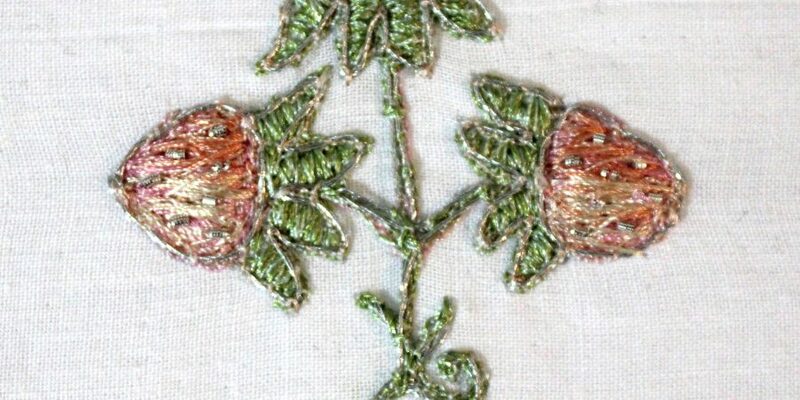 The original was done in silk and silver gilt on linen with spangles. 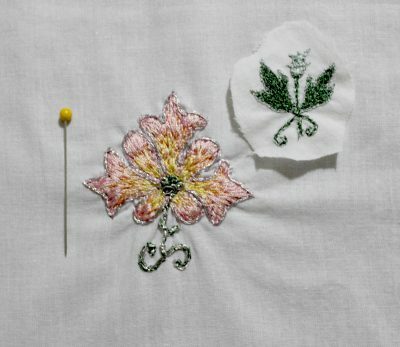 My samples are in polyester thread on cotton muslin with silver bullion wire and fine silver cord for some of the details. 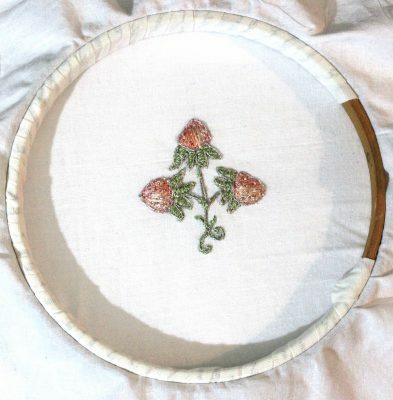 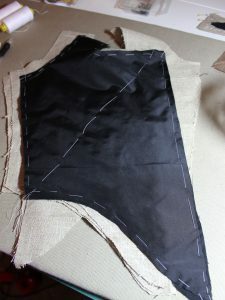 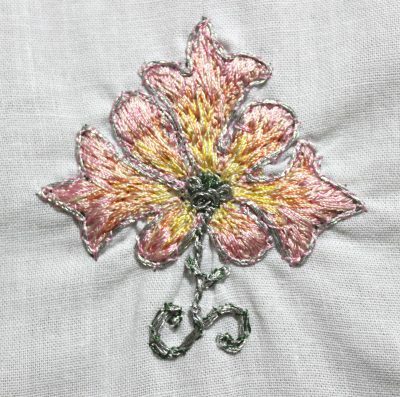 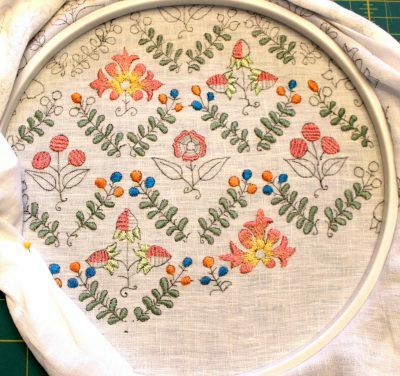 I have some silk thread on order so I can experiment further with the embroidery.